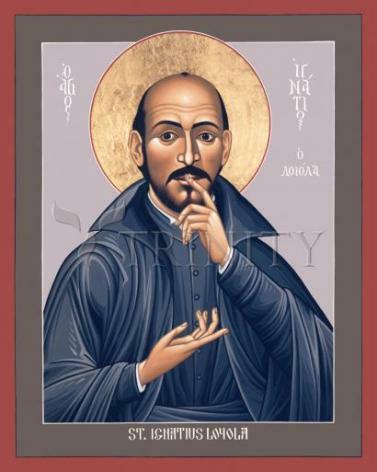 Ignatius Loyola was the son of a Basque Nobleman. He spent his early adult years as a soldier, until he was seriously wounded in a battle with the French. Forced to confront himself during his lengthy recovery, he ended his military career and embraced the poverty of a pilgrim. After a trip to Jerusalem, he returned to Europe and began academic studies.